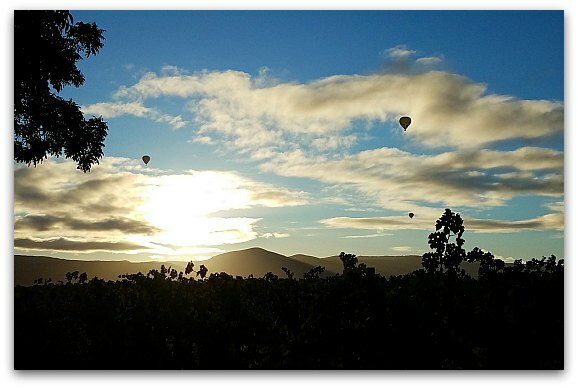 Events in Napa in March 2019 include wine tasting activities, SIP (Songwriters in Paradise) and the Napa Valley Marathon. Other fun things to do include Yountville Live, the annual Crab Fest, and bASH: Appellation St. Helena. I've also included some fun nightlife options and a few deals on hotels and tastings around the valley. This is the inaugural year for SIP (Songwriters in Paradise) Napa Valley. One of the top events in Napa in March, SIP offers performances from 15 highly acclaimed songwriters. Performances are at Silver Oak, Alpha Omega, Gargiulo Vineyards, Brasswood and the Harvest Inn. Each performance has a limited number of tickets, so you are sure to get an amazing seat. SIP is the creation of Nashville-based songwriter Patrick Davis. In 2013, he was asked to perform in the Bahamas and wanted to try out this new idea. It was an overwhelming success and has drawn in crowds from around the world since 2013. You will find it in three locations: the Bahamas, Cabo in Mexico and now in Napa. This is the 39th year of the annual Kaiser Permanente Napa Valley Marathon held along a scenic 26.2-mile stretch of rolling hills and vineyards that runs from Calistoga to Napa. This is a great course for beginning marathoners, as it is not only inspiringly beautiful but also mostly downhill. The race is on Sunday morning, so go ahead and make a weekend getaway out of it. This year, there is also a half marathon and a 5k. One of the best nightlife options in Napa in February is the Uptown Theater. They offer around a half dozen performances every month. This historic theater opened in 1937 and is a wonderful place to see a show. The small, intimate setting turns each show into an unforgettable performance. They host both musical acts and comedians. The Uptown Theater is at 1350 Third Street in downtown Napa. Yountville Live is one of the most unique and luxurious events in Napa in March. It converges the talents of award-winning chefs, recording artists, and winemakers with the small-town charm and sophistication of Yountville. Discover the best of the culinary capital of Napa Valley with fabulous epicurean experiences and premium entertainment. Head over to the Napa County Fairgrounds in Calistoga from 5:30 to 10pm on Saturday, March 2, for the 17th annual Soroptimist International Crab Feed. As you enjoy your delicious crab dinner with caesar salad and wine, you'll be helping fundraise for the community. There will be music, entertainment, and silent and live auctions at the event. Another place for some of the best events in Napa in March is at the Blue Note. This music venue is set inside the historic Napa Valley Opera House. The Blue Note is in the heart of downtown Napa at 1030 Main Street. Here are just a few of the top shows this month. St. Helena's annual food and wine competition, bASH, is a must attend for food and wine lovers. This event is held in the historic barrel room inside the Culinary Institute of America at Greystone (2555 Saint Helena Highway). The event offers more than 30 tasting stations with Appellation St. Helena wines paired with tasty treats. All of the food is prepared by aspiring students, winery chefs, and St. Helena's finest restaurants. The event runs from 6pm to 8:30pm. Spend the weekend visiting some of Napa's top wineries and learn all about their world class wines. This three day event starts on Thursday night with a welcome wine tasting reception. On Friday and Saturday, you will be treated to tours and tastings at 4 to 5 wineries throughout the valley. Lunch is included for both days as well as chartered transportation to and from all of the wineries. It's one of the most highly anticipated events in Napa in March. There are so many fun places to go wine tasting this month in Napa. Before you finalize your plan, make sure to check out some of the great wine tasting deals all around the Napa Valley.